Digital Marketing has become inevitable in the modern day advertisement platform. This is because it is designed to achieve massive market exposure at very affordable rates in comparison to conventional methods of advertising. However, it is very important to design the right AdWords to ensure you get value for your money. This may seem like a simple task but it is a crucial area where many people have gone wrong. This also forms the reason why you should go looking for professionals at managing AdWords accounts. Below are some tips you need to consider to ensure you are using the AdWords meant to generate the right traffic to your site. It goes without saying that the main goal for most digital campaigns is to generate sales and trigger business growth. When choosing the AdWords, it is important to ensure you have the right goal in mind. In addition, you should have generated a very clear formula on how you are going to measure the results. Remember, what is not measured is not done! Ensure you AdWords are addressing the right customers! This way, they can raise interest and build up a desire to purchase the products. A need or desire for the product, coupled with the purchasing power, will result in the growth of sales. In addition, ensure the ads are not only informative in nature but also include a call-to-action that triggers the potential clients to action. Clients feel distasteful when led to the wrong landing page. Therefore, ensure the AdWords have been well-matched to ensure clients end up on the anticipated page. This creates a great first impression which means a lot when it comes to loyalty in a brand. Believe it or not, negative keywords have been proven to yield immeasurable results when it comes to digital marketing. Basically, these keywords have no correlation to the advertisement in question. They ensure the ads pop-up to relent users who are likely to form potential clients. At the end of it all, you realize that the quality of traffic generated is greatly improved. Apart from sales generation, use of negative keywords is also beneficial in that it improves the quality score for your AdWords in general. This is crucial when generating your targeting strategy. The three types of targeting keywords have to be used in a balanced way; they include exact match which should be used in plenty, the phrase match and the broad match which should be used sparingly. 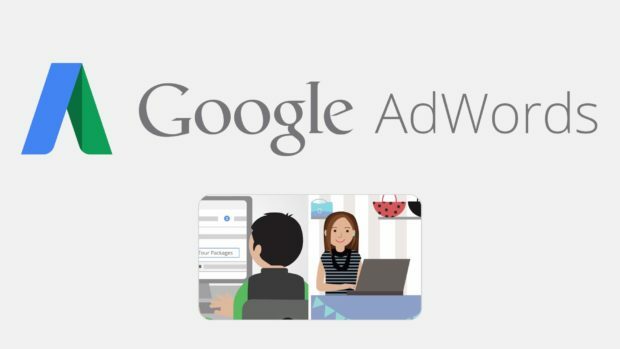 It is also advised to use what is referred to as “Google’s targeting criteria.” This is whereby AdWords are categorized based on the various target market. For instance, you can use geo-targeting if you want to focus the campaign on a specific region or location. You can as well categorize based on the website type. This enables you to capitalize on the content type to ensure you get the right traffic. You can also target your ads based on the prevailing behavior. For instance, you can have websites offering similar products as a target.